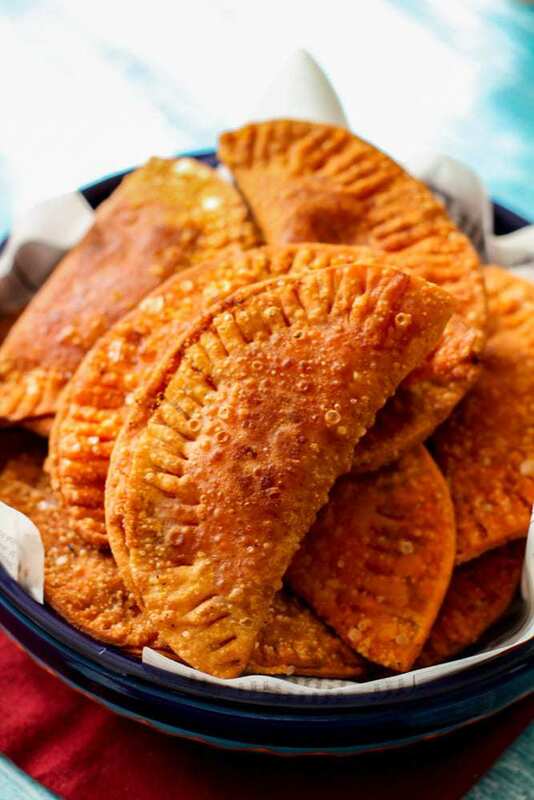 Empanadas, a Latin handpie with different fillings is a favorite appetizer in the Latin community. 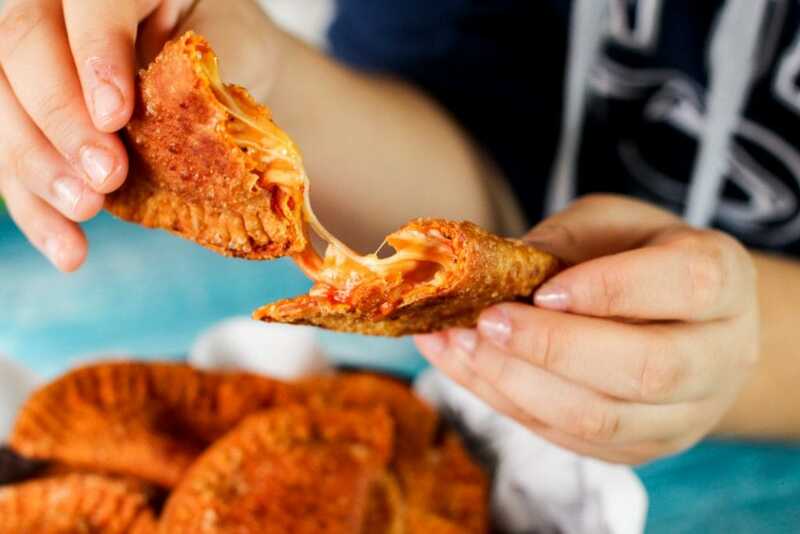 These pizza empanadas are no different! One of the only recipes my kids will make without complaint is this pizza empanada recipe. 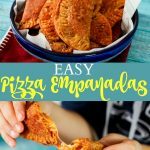 Using Goya empanada discs, these Puerto Rican pizza empanadas (also known as pizza empanadillas) are super quick and easy to make! Empanadas are appetizers that are made with dough discs and filled with meat, cheese, or seafood. Empanadas are typically fried, but they can also be baked. 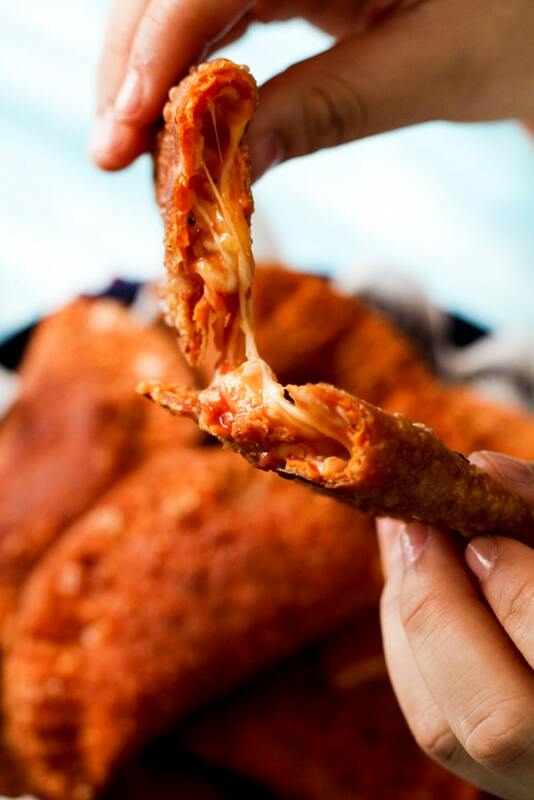 Empanadas are almost like a calzone, just on a smaller scale. 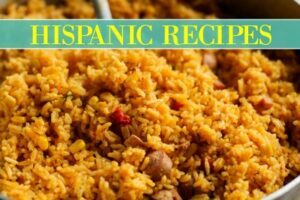 As mentioned above, empanadas are flour dough discs, that can be either homemade or easily filled using the Goya empanada discs sold at most supermarkets in the frozen aisle section. 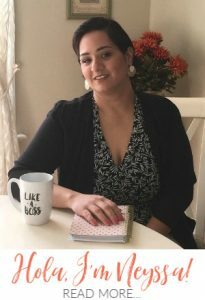 Here’s a recipe to make homemade empanada dough by Kitchen Gidget. If you’re using the frozen empanada discs, it’s important to allow the dough to come just to room temperature to be able to fill and fold them without cracking. To make empanada, you roll your dough into a 6 inch disc if using handmade empanada dough, or just lay open the already made Goya empanada disc. Next, you’re going to take about a spoon worth of marinara or pizza sauce, and gently spread the sauce JUST in the center, not the edges. 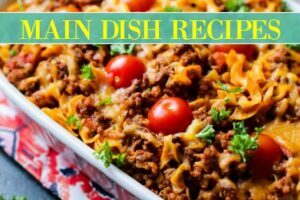 Next, you’re going to add in about 2 tablespoons of shredded mozzarella and cheddar cheese mixture over the sauce. You will then fold the empanada disc over in half, and using a dry fork and dry hands pinch the edges of the empanadas together. 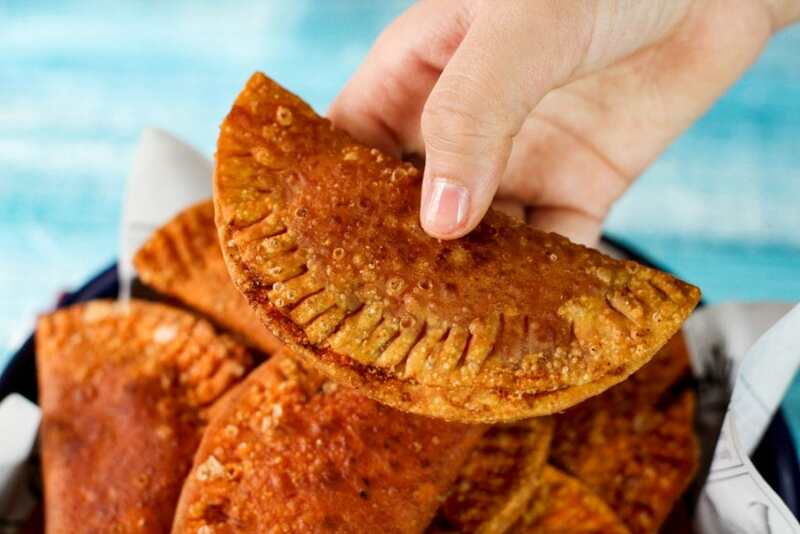 Then with the fork, you’re going to gently press on the edges to create a crinkled seal to ensure that the empanada is closed tightly before cooking. 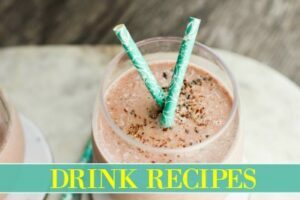 You may want to flip over the empanadas and seal the other side too, especially if you’re making a beef and cheese empanada recipe. Next, you’re going to fry the empanadas over medium high heat for 1-2 minutes per side or until the empanada dough is a beautiful golden color and some bubbles form on the outside. Remove the empanadas and let it drain over paper towels. 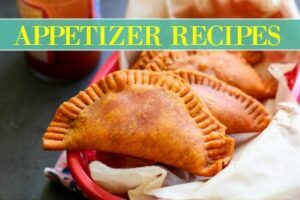 As you can see, Puerto Rican pizza empanadas are super easy to make! They taste amazing, are cheap, and everyone’s favorite party appetizer. Tell me, what is your favorite empanada recipe? Leave a comment below and let’s chat about empanadas! 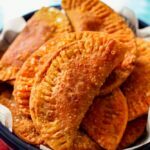 With the just the right amount of sauce and cheese, these Puerto Rican pizza empanadas are the perfect appetizer for a weekend get together! Fill each empanada disc with a tablespoon of sauce and gently spread it around. 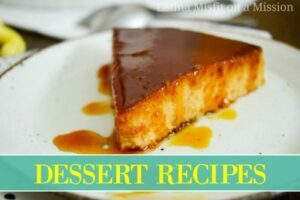 Next, sprinkle over 1 teaspoon of each cheese. Fold over the empanada, and seal the ends with your fingers and then with the back of a fork, crinkle the edges. In a pan over medium high heat, warm oil and add in an empanada. Fry 1-2 minutes per side or until empanadas are a beautiful golden color. Drain empanadas and serve right away.